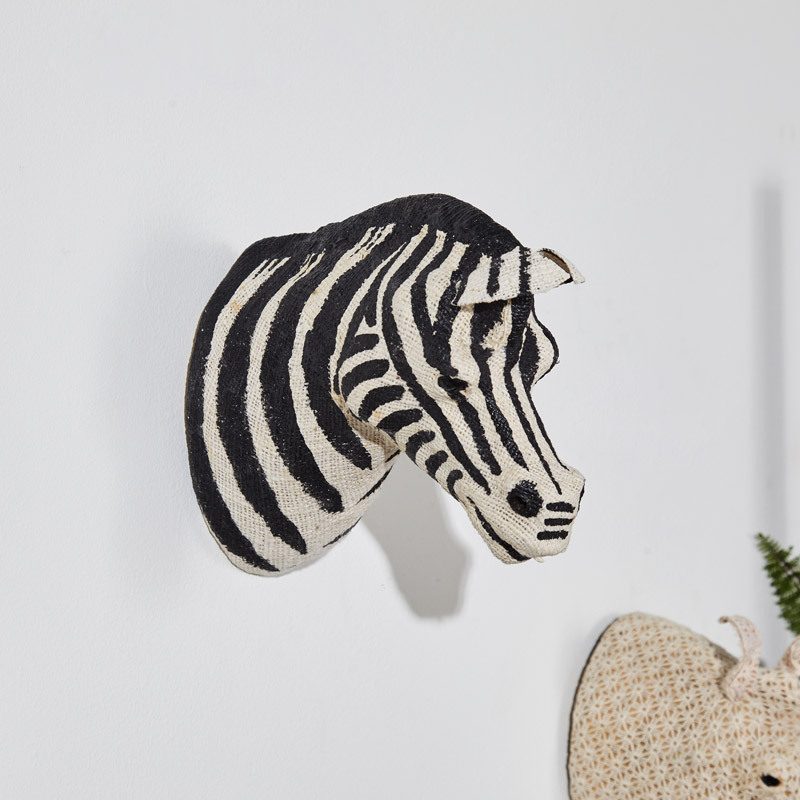 Give your bedroom, hall way or living room walls the perfect faux trophy head with a a quirky vibe made to look as though its straight from the plains of Africa. 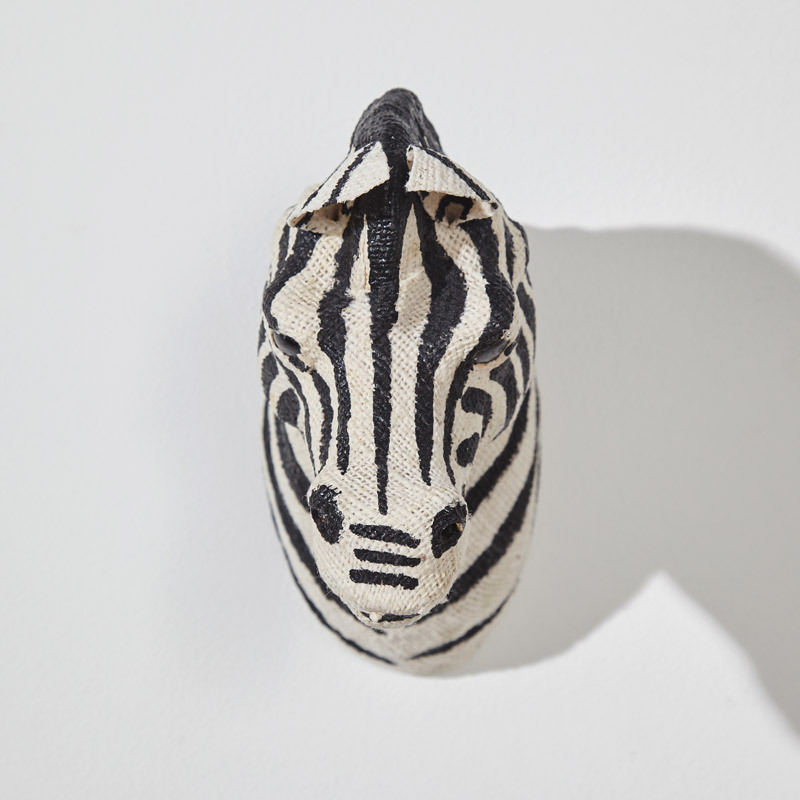 Our funky Zebra head will make a great focal point in any room or interior from retro to a more traditionally vintage. This is just part of our endless range of animal heads. Cleverly constructed from paper pulp over a wire frame with a cotton covering in black and white. Easily wall mounted with a hole on the back for wall mounting. A fantastic addition to extensive selection of gifts and home accessories.